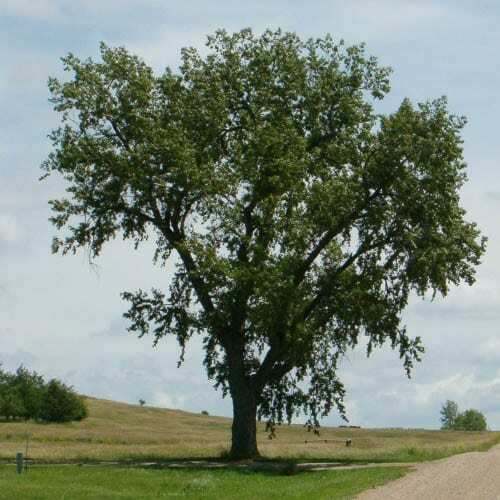 Common Cottonwood is a large tree with upright spreading braches. The fall color is golden yellow. This fast growing tree has been widley planted in shelterbelts. This tree occurring along streams, rivers and throughout flood plains. One of the first woody species to appear on flood damaged sites. Can be established from cuttings. Often preferred as a roost tree by birds and other animals.